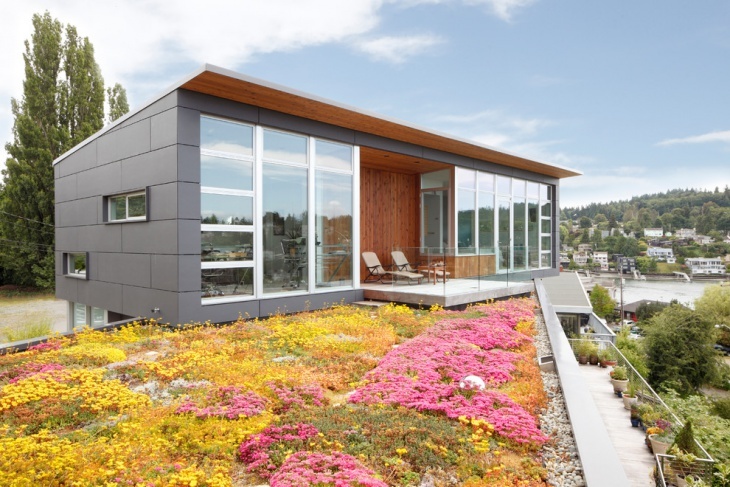 Rooftop gardens have caught up fast with the trend of the century. 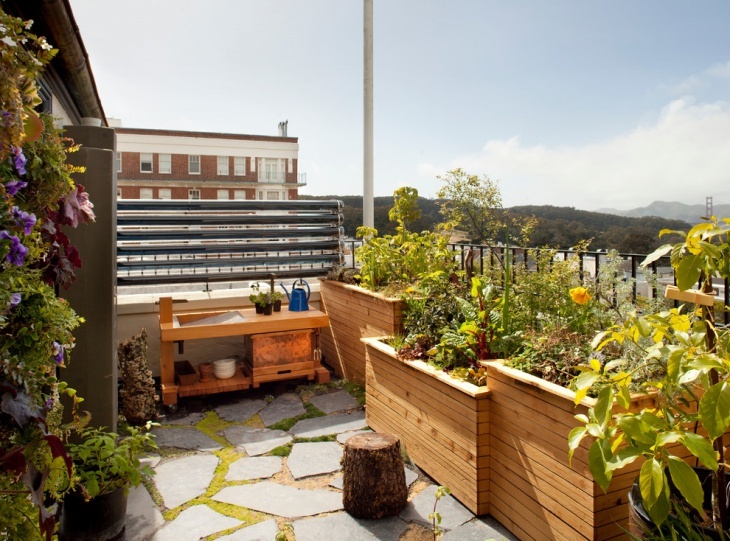 When you think of a perfect home, you don’t imagine it without a rooftop garden. 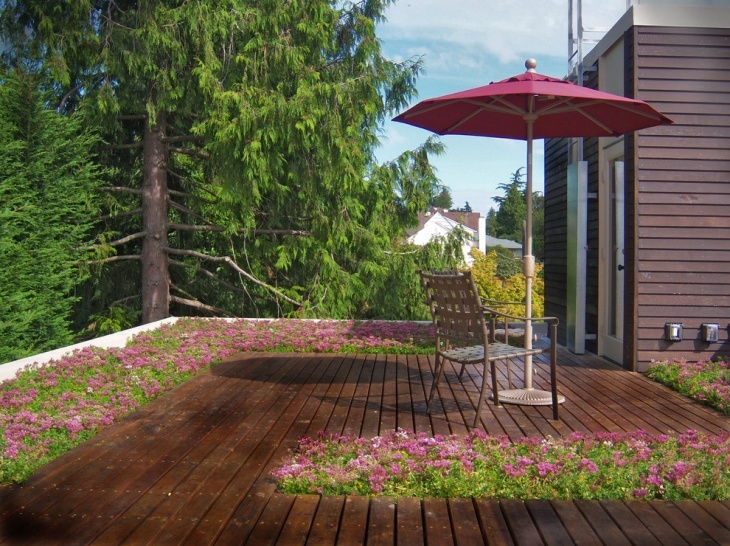 You can mold the rooftop gardens according to your choice and desire. 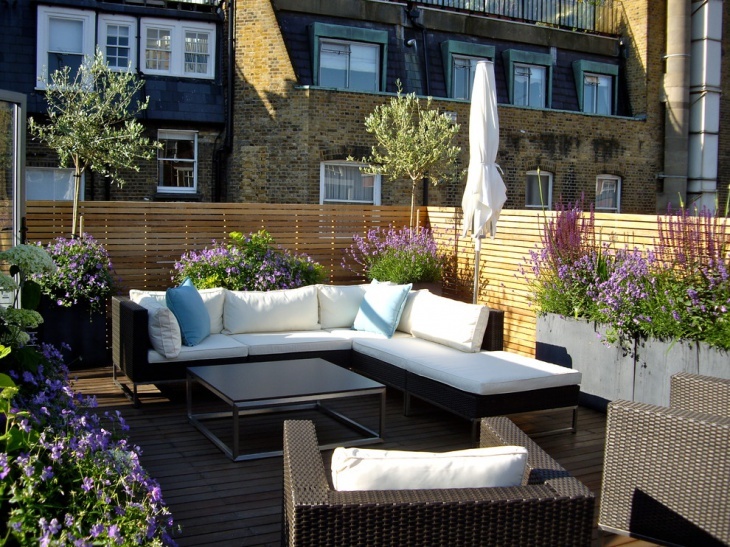 Though there are a number of designs and architecture followed in the rooftop gardens, we present you with ten simple roof garden ideas here, which you would like to incorporate in your mansion. 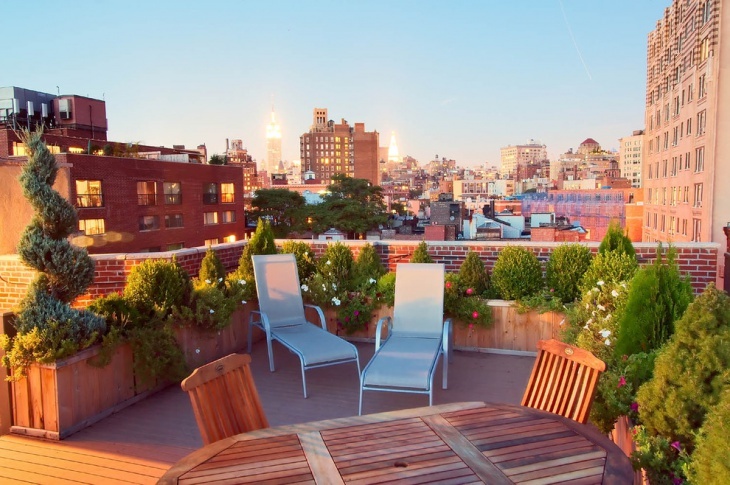 When you look out for a fancy yet royal rooftop garden, this is your ideal choice. With the floor beautifully made out of wooden planks placed parallel to each other, there are tables and chairs, besides sofas as a part of the sitting arrangements. 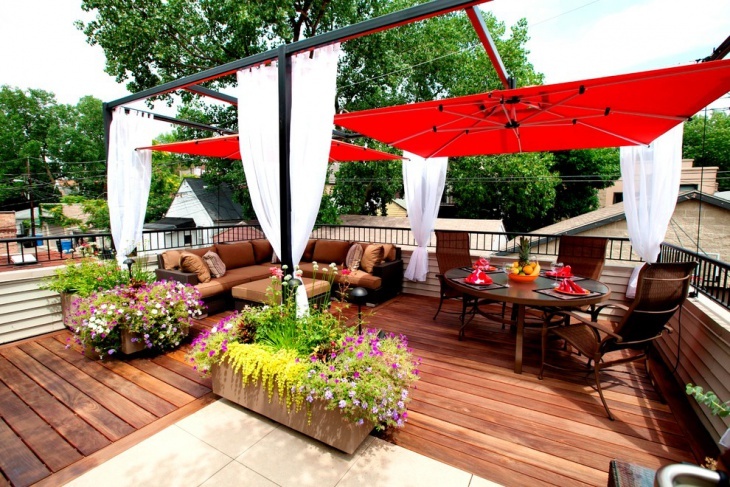 The rooftop garden can be beautified by installing red shades with white curtains. This is one of the most beautiful and elegant gardens where there are several decks of orchids and small plants, designed in brown. 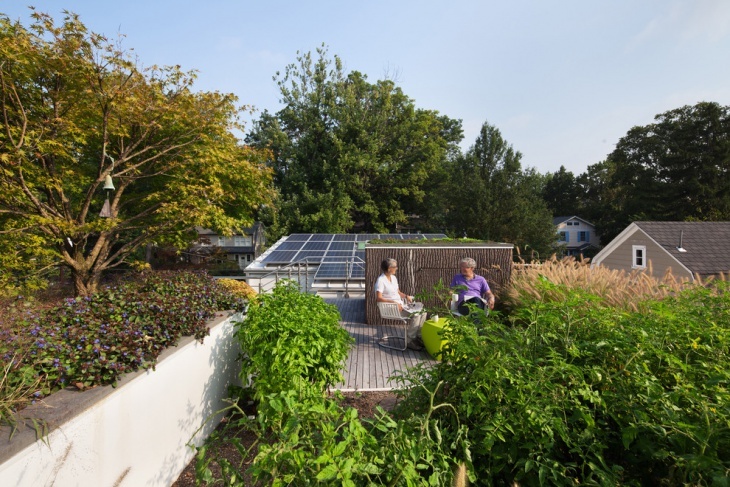 With enough room for movement, the rooftop garden provides with enough space to stop and watch the beauty of nature. 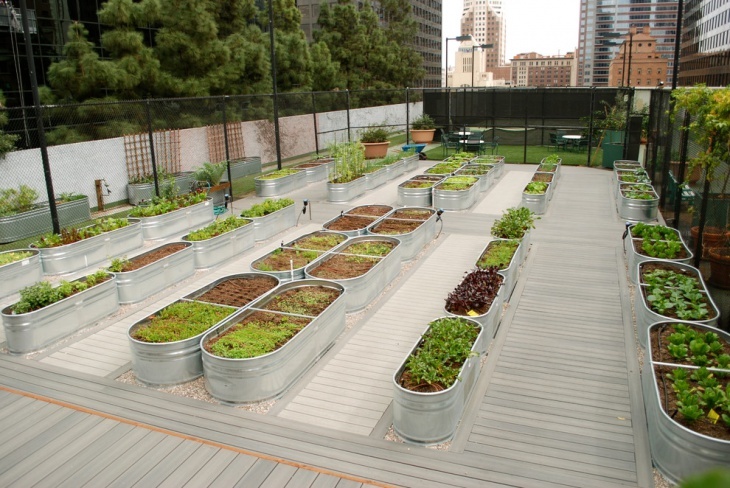 If you wish to grow a variety of vegetables on the top of your house, you will not find a better option. Just put a fence along with protective nets to keep off birds. 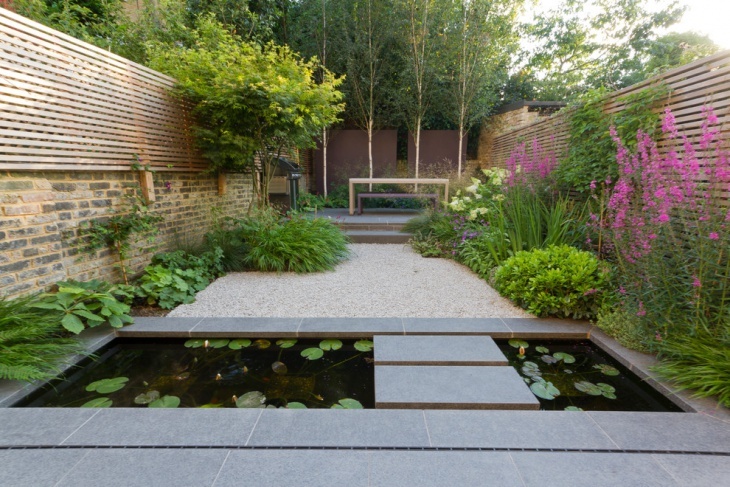 Make the decks medium in size so that you can accommodate a lot of plants. In the central position, you can beautify the roof with decent architecture matching to the ambiance. 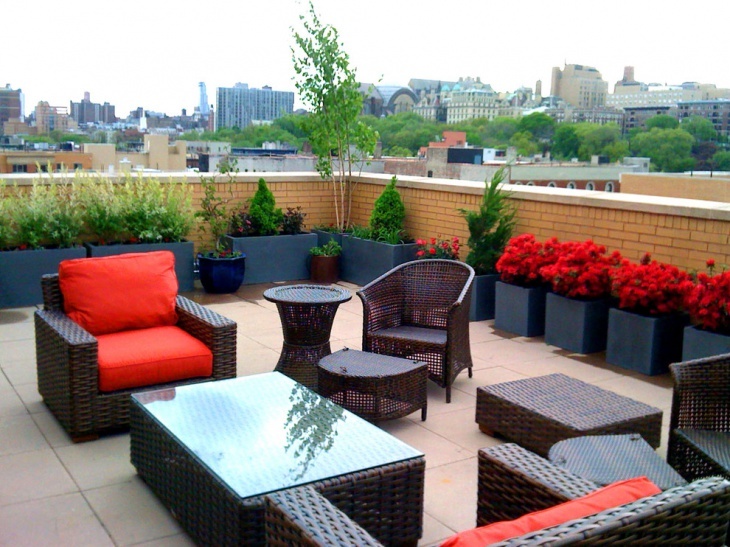 If you desire to create a modern wonder in your rooftop, go for this urban style. 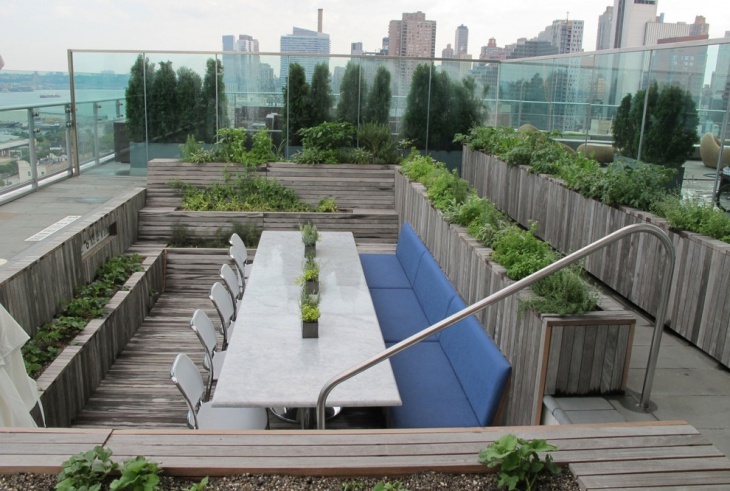 The flat roof garden design has enough space to walk about and sit. It also brings specially crafted spaces for the trees to grow. With proper lights, it will live up to the taste of elites. 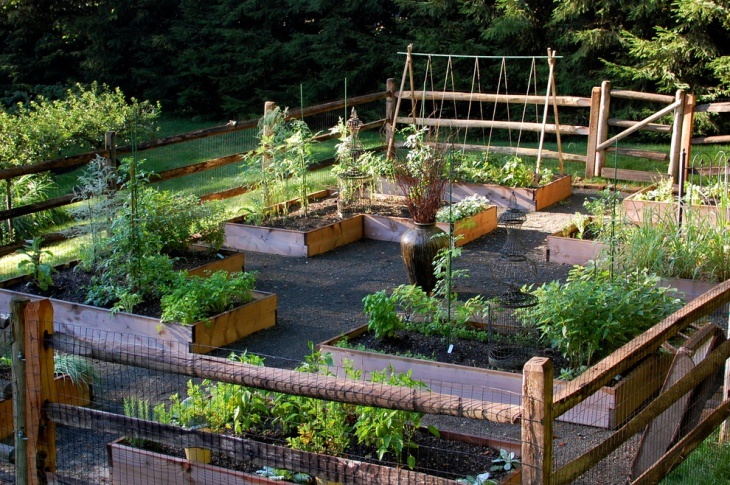 This garden is tailored, especially for people who wish to grow kitchen items and vegetables. 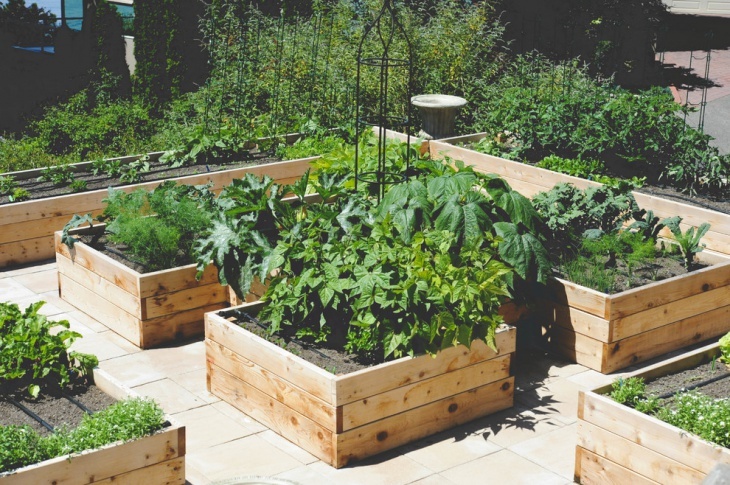 With wooden planks forming a grid of decks, you can grow a lot of vegetables on the roof. Well, there will be enough space for walking as well. 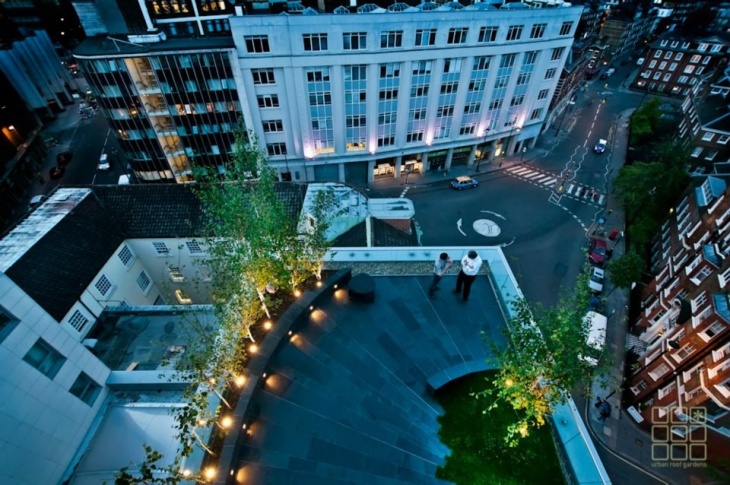 The Japanese roof garden has elegantly designed desks made of polished steel, oval in appearance. 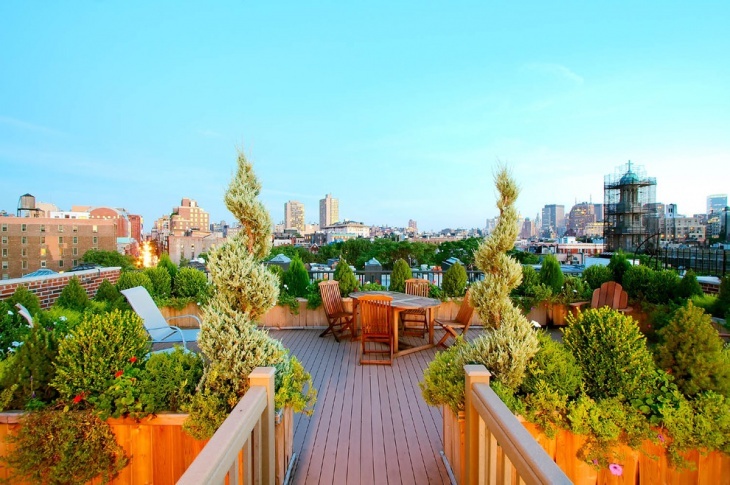 With broad spaces for walking in between the decks, you will find the ideal rooftop garden in an urban setting. The planks on the surface of the roof are greyish-white in color. 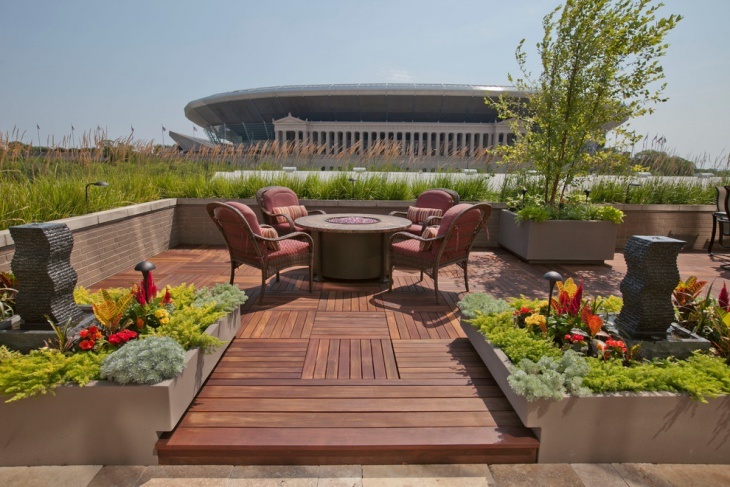 This is one of the grandest gardens that you can craft in the rooftop. There are wooden floors and matching railings, accompanied by wooden furniture on the centre. The plants are grown in clusters along the borders, and it delivers a perfect grace to your house. 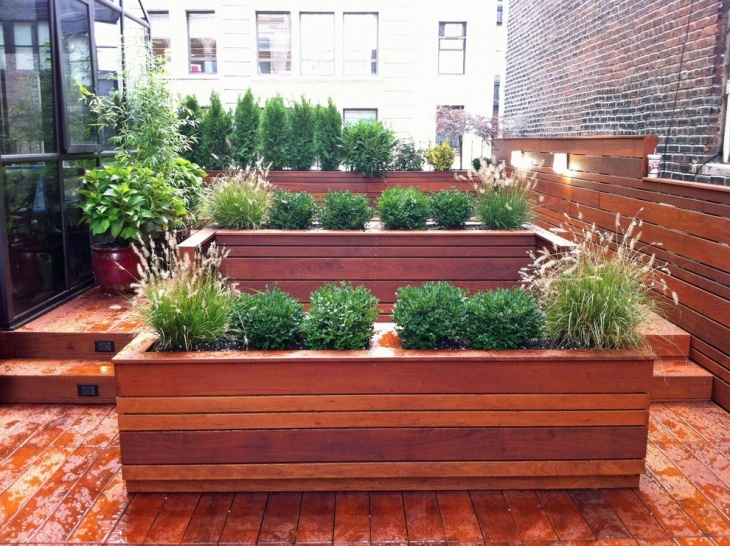 This is a perfect arrangement to sit on a rooftop garden and look around the bliss of nature. With flowering orchids growing on the burnished floor made of wooden planks, you can enjoy the unique ambiance. Make a sitting arrangement by installing an umbrella on a stand and a matching chair. This is a modern design on the rooftop where you can get a taste of beauty with marble floors on the roof. 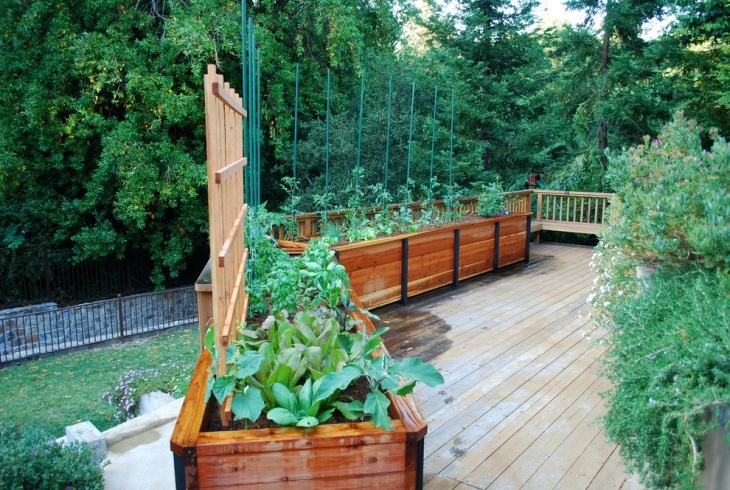 There are decks for plants along the railings, grandly crafted of wood. A few sitting areas with matching contrast complete the beauty. In case you crave for a rooftop in the latest style of architecture, incorporate the idea of a rooftop garden with herbs growing on it. There is enough space for sitting, with a long, white table and royal blue sofas. Steel railings and taller plants along the borders look beautiful. With all these ideas, vast and varied in looks, you will definitely like to make one of them a part of your asset. 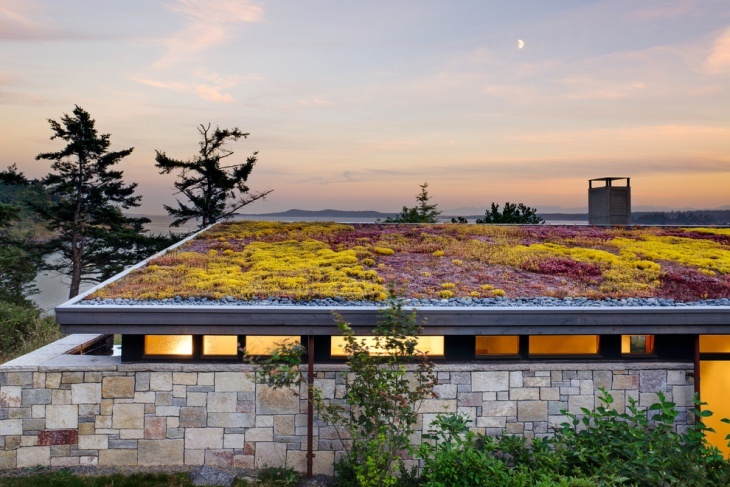 There are a number of ways in which you can make your roof a hub of beauty. Share your innovative ideas with us, if any.